No matter how prepared you are, at some point it’s smarter to run. If you become outgunned or outnumbered, you will regret not leaving when you had the chance. 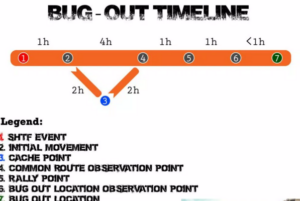 Everyone can practice bugging out, but doing it without leaving a trail is difficult. Every move will need to be calculated to ensure that hostiles don’t track you to your bug out location. Be careful selecting who you take with you. Yes, you should take your family. But friends and neighbors? I leave that up to you. If you feel that you can’t communicate effectively without the baddies overhearing, put a “marker” in front of your house that everyone included in your bug out plan already knows. This marker can be something as simple as a spray-painted symbol on your front door (the bad guys will think it’s graffiti). Consider your method of travel. I suggest a 2-wheel vehicle for roads or an ATV for trails. If you’re making your way through dense woods without trails, I suggest traveling on foot. If the event that has driven you to bug out has triggered riots and lawlessness, choose the path with the least amount of human traffic. Going off-road in these cases is critical. 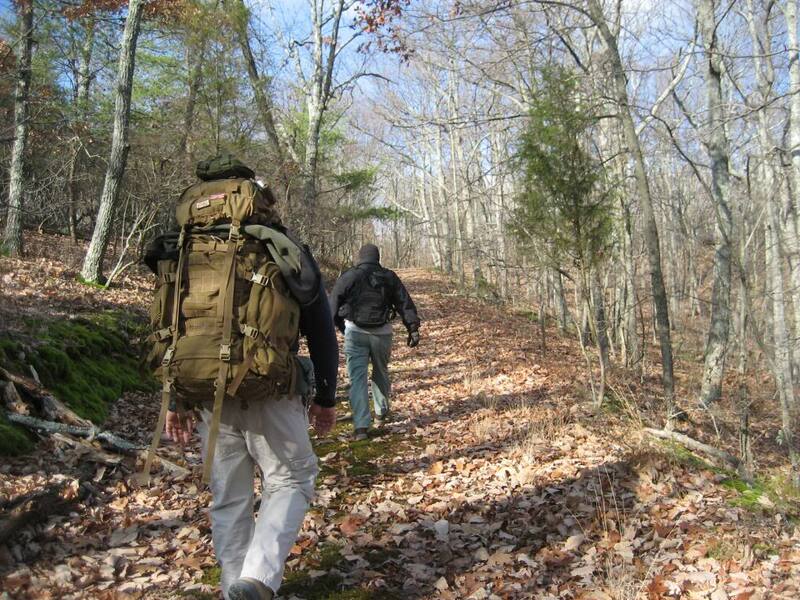 The weight of your bug out bag is particularly important when traveling by foot. You need to be quick and agile, especially if someone is following you. If possible, choose a route that will be difficult for the average person. Note: If you haven’t already done so, test your bug out bag in the field and make sure it is stocked and easily accessible. No matter how you escape, you’re bound to leave a trail. Opportunists and enemies will follow that trail until they find you, your family, and all of your supplies. Take note of obstacles along the way and think about how an enemy would use the terrain against you. Learn the habits of the animals in the area and use them to your advantage. On your way, make sure to avoid walking directly on trails. To minimize tracks, walk on rocky ground or in a stream. Pay attention to your every move to minimize signs of passage. That being said, your outfit and backpack should be chosen to blend in with your environment. Tracks are harder to disguise if you’re traveling by ATV or dirt bike. Most experts recommend a buttonhook maneuver (moving into position from a 90° angle then back out the way you came). Hide the ATV in the most inaccessible terrain you can find and brush away tracks for a considerable distance. Wear foot coverings while erasing your trail to lessen signs of passage. 3. Cache point refers to a place where you’ve stocked some emergency supplies. 4. Common route observation point is a place everyone in the plan knows about. When they pass by, they should leave a sign. 6. Observation point is a place where you can look to see if your bug out location is safe.